We will be running a beginners' course on Saturday afternoons in early 2019 over six sessions each lasting approx. two hours and starting at 2.30pm. The first two sessions will be on 26th January and 2nd February. ​The next two sessions will be on 23rd February and 2nd March. The final two sessions will be on 16th and 23rd March. 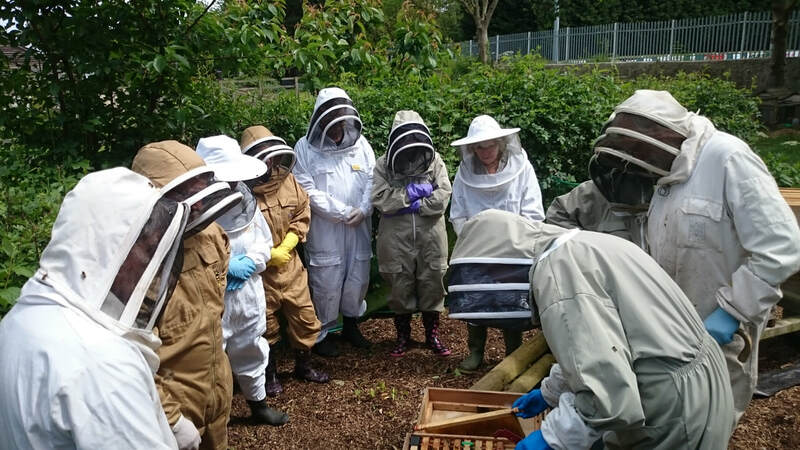 There will also be a practical session with bees on Saturday 13th April. The course will be held at Chilcompton Church Hall and tea and coffee will be provided. The cost of the course is £60 and includes associate membership of Mendip division for the year. For further information please contact Mark Hitchens on 07555 966 964 or click the contact Mendip division button below.